In just a few weeks the Amsoil Arenacross series will be making its way to the Mid-South with stops in Southaven, MS (The Landers Center) and New Orleans, LA (Smoothie King Arena). Â Friday and Saturday feature pro racing and the Amsoil Dominator Classes. Â Sunday is amateur day, and is packed with classes for everyone. Amateurs still have these two rounds left to score points to qualify for the Arenacross Championship in Las Vegas in May. Â The top 4 riders from each region will automatically qualify for the national championship! 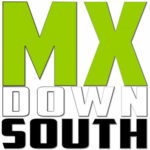 MX Downsouth will have coverage from both events.